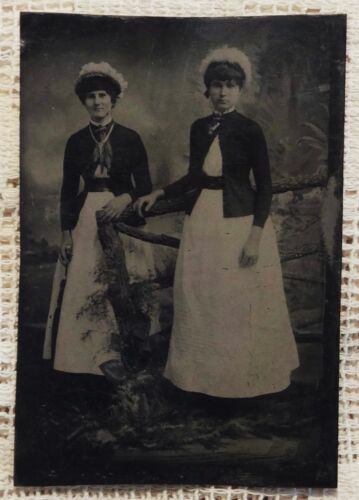 Antique Tintype Photo~Pretty Victorian Woman in Fancy Dress with Hidden Friend ? Woman in black dress holding a ball, 1/4 plate tintype photo; cannon ball? Columbia Co. Chicago Tintype Photo Picture Medallion Young Girl Pointing 5.75"
Columbia portrait company tintype medalion(6inch) of unknown baby.